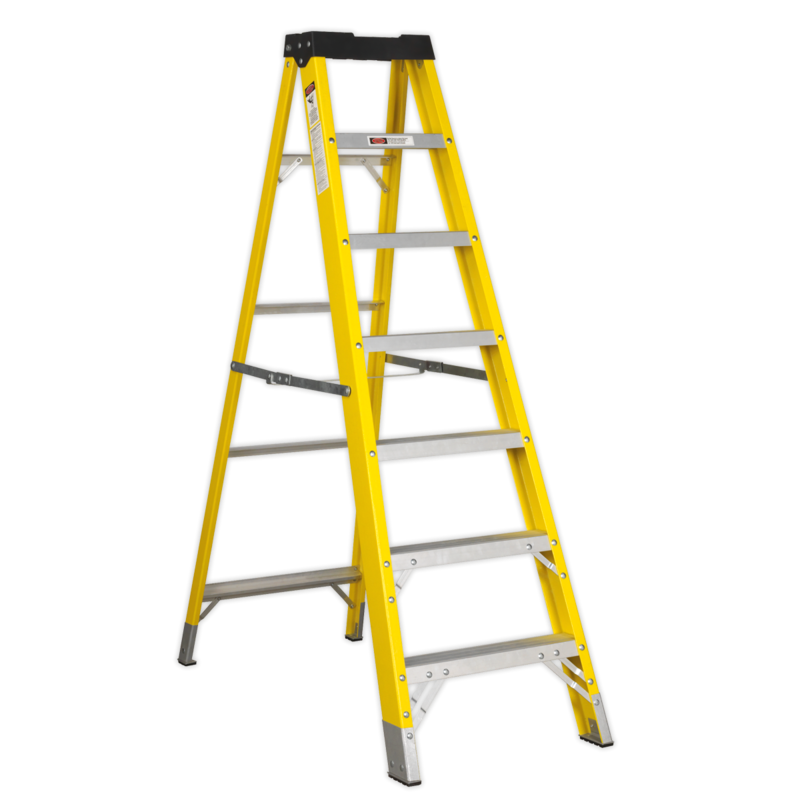 Heavy-duty fibreglass sides with slip resistant aluminium treads. Locking brace bars and anti-slip feet for added stability. 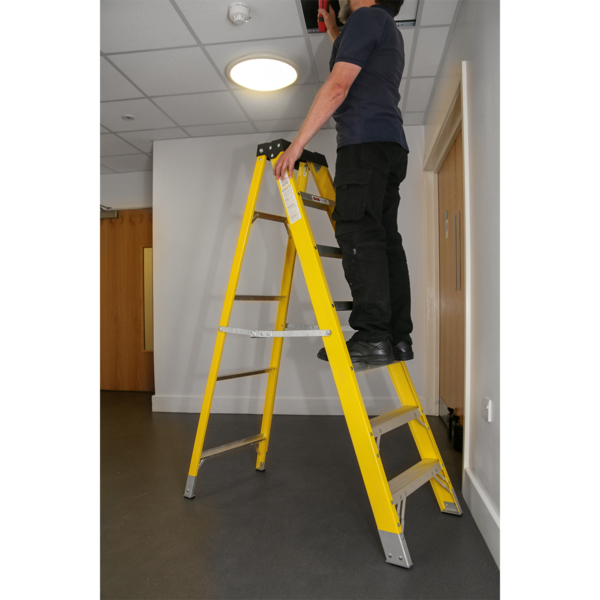 Lightweight steps are non-conductive and ideal for site work. Conforms to EN 131 standards.